Throughout the 1990s and early 2000s, various administrations viewed “e-government” as an important way of improving public services, increasing the speed of carrying out transactions, and improving convenience, accessibility, flexibility, and hours of service. These efforts to reform the use of technology in government, and to apply the lessons of the value of open standards as a means of breaking open the proprietary silos of technology - via initiatives such as the e-Government Interoperability Framework, or e-GIF - achieved very limited success. Some promising early progress – such as, for example, putting the income tax self-assessment process online, and the process around payment of the vehicle excise duty – remained as front-end, cosmetic one-off initiatives that failed to progress into any meaningful modernisation of the overall processes involved: they were on the web, but not of the web. In retrospect, it is evident that the UK has historically suffered a recurrent mismatch between political aspiration and any meaningful and sustained technical delivery approach on the ground, despite being a pioneer in many policy areas – notably the adoption of open standards and the promotion of open source. There are two important contexts from which to consider the UK’s digital public services delivery ambitions - political and socio-technical. 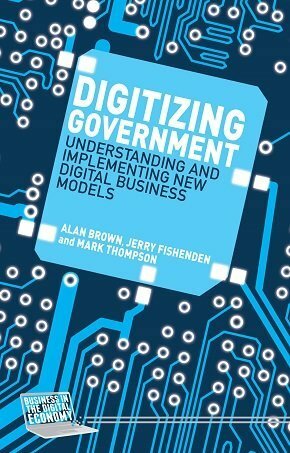 This is an excerpt from Digitizing Government: Understanding and implementing new digital business models. Click here to download a longer excerpt from the book. Throughout the 1990s and early 2000s, the design and delivery of public services remained in the hands of a small number of dominant external suppliers who used technology mainly to automate previously manual ways of operating public services, rather than using it as a means to re-engineer and improve them around the needs of citizens. In part, this reflects the legacy of an exceedingly complex “software real estate” derived from a history of inefficient government procurement practices. However, it also indicates an approach that used technology as a “sticking plaster” to make public services appear joined-up when in reality they remained fragmented across multiple administrative hierarchies, operational departments, and agencies. In short, there was a focus on technology at the front end, rather than the reform of the often poorly performing organisational structures and processes underlying this “shop window”. Equally problematic was the progressive de-skilling of the public sector and its outsourcing of in-house technological expertise to a handful of large external suppliers. These long-term, exclusive contracts meant that even where departments or local authorities had the desire and ability to drive a re-engineering of their services, they were often unable to do so due to a lack of in-house capabilities as well as restrictive contracts that impeded attempts at innovation and reform. Instead of becoming the means to deliver reform and improvement, technology became the biggest blocker; even where the same external supplier provided the solutions, every system was separately built and maintained, often using proprietary and closely-coupled technologies. This siloed architecture cut across the desire to redesign and optimise services around the needs of service users. In 2011 a cross-party House of Commons Public Administration Select Committee published the results of their investigation into the state of the use of IT in government and was highly critical of the approach, referring to it as a “recipe for rip-offs”. In response, the current UK government has renewed its focus on digitally-enabled public services – but has been pursuing a very different architectural and commercial route for its achievement. The result is that although technology-based initiatives have been around for some time in public services, the current use of the term “digital” carries a more specific meaning than earlier “online” and “e-government” programmes. Understanding and interpretation of the term “digital public service delivery” has evolved significantly in the past decade. Effectively, “digital” is now considered an umbrella for organisational values and practices. While technology is typically the enabler for these opportunities, digital is not principally seen as limited to technology. Successful digital organisations have customer-centric operating models clustered around speed and adaptability, exemplified by maxims such as “show don’t tell” and “good enough is better than perfect”. Digital organisations also seek to address the use of mobile devices as the new norm for staying connected across every aspect of our lives. Through the likes of smartphones and tablets, a growing number of people interact with friends, review various news feeds, check availability of local business services, collaborate with colleagues, communicate with vendors and suppliers, and much more. Successful organisations embrace this mobile-first world, and the expectations of an increasingly digitally literate population. 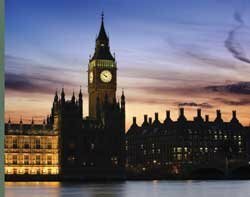 The UK government has tapped into this mindset with its new strategy for bringing services online, characterised by the phrase “digital by default”. It aims to make public services more accessible, while also encouraging users to view the government’s online environment as a platform for wider public debate and collaboration, aiming to develop “government as a platform” (GaaP). This move toward digital public services delivery was re-invigorated in the UK with the publication in 2012 of the Government Digital Strategy, which set out the principles and pathway toward realisation of the UK government’s vision of digital-by-default service delivery. It aims to develop government’s ability to respond swiftly to changing policy imperatives and user needs, achieve lower costs for the taxpayer, deliver major programmes more quickly, and stay ahead of the curve by exploiting new technology. To support this strategy, one of the most significant changes under the current government has been the creation of the Government Digital Service, bringing highly skilled technology and digital skills back inside government. This service team has implemented guidance and a vision for how programmes must be developed in future, with a relentless focus on the user. Aligned with the Government Digital Strategy, the service team ensures all new or redesigned public services meet the digital design standard – mandatory from April 2014. Departments and agencies must demonstrate they have met the criteria set out for the full life of their service or the service will be rejected. This move to place the user at the centre of new service designs requires a fundamental shift in the relationships, processes and data control mechanisms that exist between organisations and users, not just the technology. Delivery approaches in the commercial world have moved towards a networked approach to solution assembly from a variety of pre-existing components and services. Businesses are at the centre of a network of suppliers, consumers, employees, partners, analysts, competitors and various other stakeholders. The most envied and discussed organisations in the world are increasingly founded on open platforms, encouraging others to interact and innovate around them and form collaborative communities - their ability to build and grow these eco-systems is fundamental to their success. This private sector experience raises a key question - can public sector organisations reinvent themselves as inter-connected communities based on a common platform of open services? This is an excerpt from Digitizing Government: Understanding and implementing new digital business models, which is published on 3 December 2014. Alan W. Brown is Professor of Entrepreneurship and Innovation in the Surrey Business School at the University of Surrey. He previously worked in strategic IT leader roles in industry. 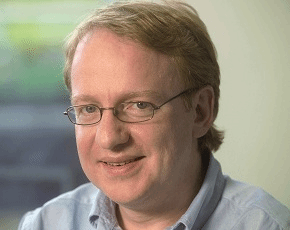 Jerry Fishenden was recently interim deputy CTO for the UK government. 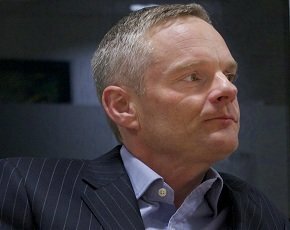 He has previously been CTO for Microsoft UK, the City of London financial regulator, the UK Parliament and the National Health Service. 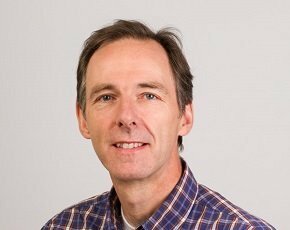 Mark Thompson is strategy director at Methods Group; senior lecturer in information systems at Cambridge Judge Business School; visiting professor at Surrey Business School; and recent board member of TechUK.